Through its Mathematics Excellence Fund, the department directly impacts the immediate needs of undergraduate and graduate students, programs, and faculty projects that are not funded through state support. These funds can be used for faculty and student travel to competitions and conferences, classroom and research equipment, special lectures, and program support. 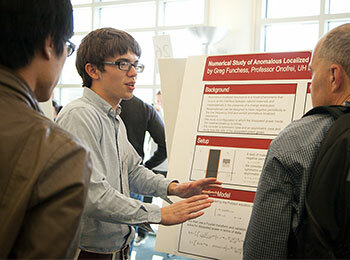 Graduate fellowships provide funds to Master’s or Doctoral students in the Mathematics Department. These students are at the heart of NSM’s excellence and are the reason we can compete nationally for top faculty, attain national support, and solve important mathematical problems related to medical imaging, blood flow, oil recovery, and cloaking devices, as well as a number of important questions in pure mathematics. Graduate fellowships help us to recruit and retain top graduate students — one of our Tier One Initiatives! 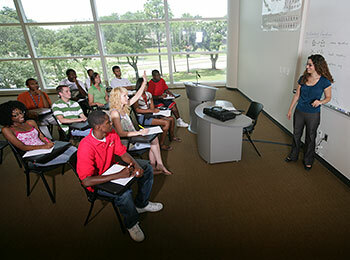 The Department of Mathematics is a hub of outreach activity for the Houston Metro area and Texas. We provide five, free workshops each year for Algebra I and AP Calculus teachers. 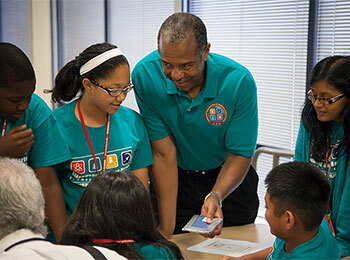 The department also hosts an annual math competition that draws more than 600 middle and high school students from Houston and surrounding area schools. In addition, we offer assistance to high school students and teachers through math placement testing and online practice exams for Algebra II and AP Calculus ,and to future teachers through our online training materials for the TExEX exam. Research is the foundation of any institution of higher education, and the Department of Mathematics has stellar faculty who have national and international acclaim. Two of our young faculty have recently been awarded the Air Force Young Investigator Program Grant for their work on the control of electromagnetic fields and a new numeric approach for kinetic simulations, and a large number of our researcher teams have received grants to foster work in numerous areas, including medical imaging and echocardiogram interpretation. We are truly making a difference! Research support allows faculty to pay for special items that are not funded through private and public grants or state funding -- such as travel to professional conferences to report research findings, specialized research equipment or supplies, and research personnel. Your gift will help us achieve even greater success on our Tier One journey.